Desalination is now an integral part of China’s strategy to ease its mounting water crisis, but the environmental costs could be huge, and make it more difficult for China’s government to reduce its reliance on coal to generate electricity. The government has set ambitious targets to boost desalination capacity from today’s modest 800,000 tonnes to 3 million tonnes a day by 2020. But that will require much more power to be generated from coal, hydro and nuclear, sources of electricity that are hugely water intensive in their own right. Officials have begun to admit that China’s mega water diversion project, which last year started pumping supplies from the Yangtze to Beijing, will not ease the emerging water crisis in capital and the arid north. 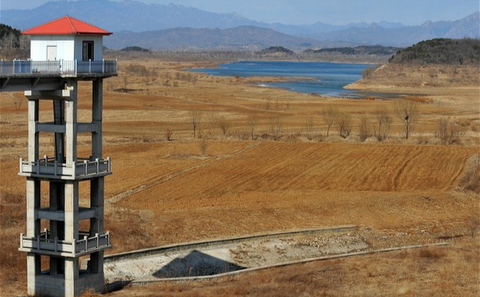 As water demand continues to grow, Chinese authorities are looking for solutions elsewhere. And a promising one is the sea. Beijing is now building a massive desalination plant, which will provide one million tonnes of water a day, a third of the city’s tap water by 2019. Water will be pumped through over 270 kilometres of pipelines from Caofeidian– a small sand spit made from land reclaimed from the sea in Bohai bay. A more modest plant in nearby Tangshan is already pumping 50,000 tonnes of water every day to the capital. The northeastern cities of Tianjin and Qingdao– where per capita water availability is about 10% the national average – are also ramping up their desalination capacity to provide water to households and industry. “Total capacity has risen 30 times over the past decade,” says Tommy Patterson, a desalination expert and consultant based in Hong Kong. And it’s not just for cities: “15% of China’s new industrial water supply in arid coastal areas will be derived from desalination,” he says. This is a hugely expensive and energy intensive solution to water shortages. Desalination plants produce water at about double that of current retail costs and many times the cost of other water saving measures, with local governments subsidising the extra cost. Desalination also consumes large amounts of energy, which in turn requires more water to produce. The majority of Chinese plants use reverse osmosis technology- an energy intensive process that removes salt and impurities by pumping water through a membrane at high pressures. A recent paper published by the World Resources Institute showed China’s desalination plants consume about ten times more energy than using surface water, and more than recycling waste water or even pumping water hundreds of kilometres from the Yangtze River. Meeting future water needs through desalination, the paper warns, will drive up national energy consumption, greenhouse gas emissions and pollution in a region struggling to improve its air quality. What’s more, along the east coast, desalination plants are being developed to provide water to coal plants in water-scarce areas, which will in turn support further growth in coal-power. 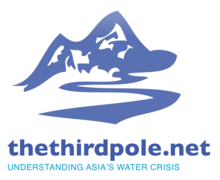 China is not the only country trying to harness the sea to solve its water shortages. References to removing salt from seawater can be found in stories and legends dating back to ancient times. Until recently, large-scale operations have been confined to wealthy oil-rich nations such as Saudi Arabia where energy is cheap and water scarce. But now things are changing. As more parts of the world face prolonged droughts or water shortages, desalination is on the rise. Developments in technology have brought down costs and energy consumption levels, but most of the world’s 7,500 desalination plants run off polluting and water intensive coal-fired electricity. Proponents argue desalination is a key “breakthrough technology” that will unlock a gold mine of endless water resources. Around 97% of global water supplies are too salty for human use. Sceptics say it’s a dangerous distraction from the more sensible solutions to water scarcity – tackling efficiency and demand. There is also the big question of how to dispose of the vast quantities of waste brine produced as a by-product, and environmentalists are concerned about potential damage to coastal vegetation and marine life. One promising option is to power desalination plants using renewable energy. “If we can harness renewable energy to desalinate that will be a big step forward – or we power it with nuclear power to reduce greenhouse gases,” says Neil Palmer, CEO of Australia's National Centre of Excellence in Desalination. Perth in Western Australia now has several desalination plants powered by wind providing water to half the city’s population. Saudi Arabia is building the world’s largest solar-powered desalination plant. Even London has a plant powered by bio-diesel, which takes brackish water from the Thames estuary in times of drought. 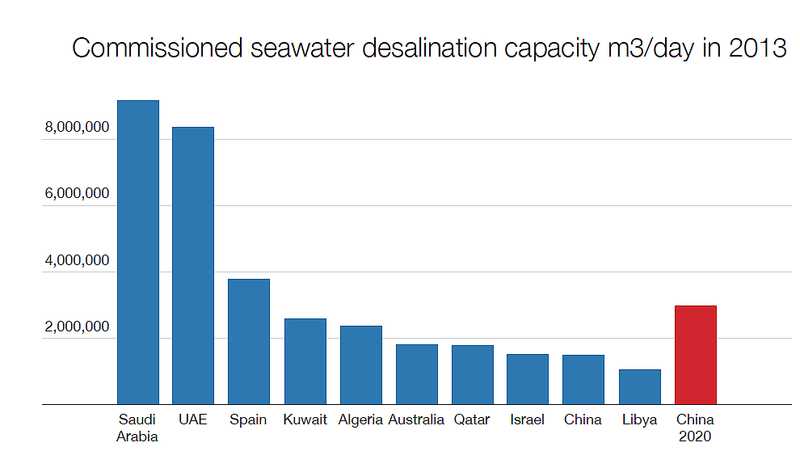 China’s desalination technology is not yet cutting edge. WRI calculates that producing one cubic metre of water in China uses about 4 kilowatt hours of electricity– the most advanced commercially available technology worldwide could bring this down to about 2.5 kilowatt hours. But even if the energy consumption of the industry falls by 20% - as the government plans have called for – by 2020 the fast expanding desalination industry would consume more energy than China’s total installed electricity capacity in 2012. But while central government has plans to overcome financial and technological barriers, it has said little on the enormous implications of additional energy consumption. China's coal industry, eyeing an apparent fall in demand, and the potential for tougher curbs on air, water and soil pollution, has touted desalination as one important source of useable water for thirsty coal-fired power stations. The coal industry would also benefit if power demand increases from desalination plants. Increased power demand from water treatment is a big concern, says Lijin Zhong, who leads WRI’s water programme and co-wrote the recent desalination report. The government has not issued any regulations or guidelines for energy consumption in the water industry, she said. Energy efficiency savings in the water industry could play an important role in reducing China’s overall carbon emissions, says Zhong. She argues Chinese cities should set up carbon accounting systems to measure energy consumption in the water industry, as the UK, for example has done (though critics argue these are not strict enough for an industry that produces 3% of the UK’s carbon emissions). The rapidly expanding energy footprint of China’s wider water sector is also alarming. Mega-diversion projects to expand water supply such as the South-North Water Transfer Project (SNWTP), or the proposed Bo Hai sea water pipeline, drive up the energy costs of providing water. To pump water along the eastern stretch of the SNWTP will also require the conversion of millions of tonnes of coal per year into electricity to move the water and, creating further water stress. CCP hears the people who seek environmental redress, and overcomes outdated sole reliance on engineering solutions piecemeal reactivley. The author needs to examine China's efforts to develop so-called Thorium nuclear reactors. China has a 2,000 year supply of this energy resource, and reactors, like desalinization plants, are both situated on sea coasts, making their interconnection a natural option. Chinese President Xi's efforts to complete basic research into reactor design within 10 years bodes well for China's responsible, long-term strategy for sustainable development. Is China underfunding its ‘war on pollution’?